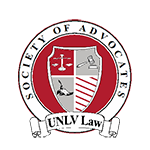 The Frank A. Schreck Gaming Law Moot Court Competition is hosted by the William S. Boyd School of Law's Society of Advocates Moot Court Competition Team, and the UNLV Gaming Law Journal. The William S. Boyd School of Law boasts the #1 Legal Writing program in the country, as ranked by US News & World Report. The 2019 Frank A. Schreck Gaming Law Moot Court Competition will be held March 1–3, 2019. 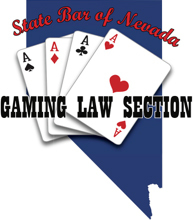 The Competition focuses on emerging issues at the intersection of gaming law and regulation. Competitors will hone their appellate advocacy skills before prominent jurists and practitioners in the gaming capital of the world: Las Vegas, Nevada! Registration will open on Monday, September 17, 2018. The early bird registration deadline is Monday, October 15, 2018. The regular registration deadline is Friday, December 7, 2018. Registration for the competition will close on the registration deadline, or once there are 24 registered teams, whichever is sooner. Please check this page periodically for registration details and competition updates. Pricing information is available on our registration page and on the 2019 Competition Flyer. The 2019 Frank A. Schreck Gaming Law Moot Court Competition problem can be found here. The 2019 Rules (as amended) can be found here. The competitors' briefs will be due in electronic format to schreckmcc@law.unlv.edu no later than 11:59 PM PST on Friday, January 31, 2019. All required hardcopies must be post-marked no later than Saturday, February 1, 2019. Teams should plan to arrive and check-in at 4:00 pm PST on Friday, March 1, 2019. Please check back periodically for the 2019 competition schedule. The 2019 Competitors' briefs can be accessed here. Frank A. Schreck is the namesake of the William S. Boyd School of Law’s Gaming Law Moot Court Competition. 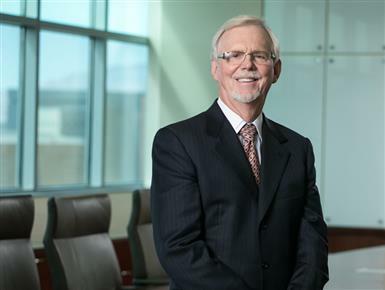 Mr. Schreck is chair of the Gaming Law Group at Brownstein Hyatt Farber Schreck, LLP. For more than 40 years, Mr. Schreck has played an important role in shaping the realm of gaming law. Mr. Schreck has represented many of the premier public and private gaming companies (including Wynn Resorts, Caesars Entertainment, Station Casinos, Pinnacle Entertainment, Penn National Gaming, Scientific Games Corporation, and William Hill PLC); private equity firms (including Apollo Global Management, TPG, Blackstone Real Estate Advisors, and Leonard Green & Partners), as well as large financial institutions that became involved in the ownership of casino properties (including Goldman Sachs, Deutsche Bank, and Credit Suisse). Not only has Mr. Schreck represented his client’s gaming interests in Nevada, he has also been a pioneer in the licensing of companies involved in multi-jurisdictional transactions, including the purchase of Harrah’s Entertainment by Apollo Global Management and TPG. Mr. Schreck has also participated in gaming-related matters in such foreign jurisdictions as Japan, Macau, Puerto Rico, Spain, and Great Britain. At age 27, Mr. Schreck was the youngest individual, by far, to be appointed as a member of the Nevada Gaming Commission. He has also served as President of the International Association of Gaming Attorneys (“IAGA”) and was the Chairman of its Fourth Annual Conference in Vienna, Austria. We are proud to honor Mr. Schreck by naming the Gaming Law Moot Court Competition after him.